The Duke and Duchess of Argyll, accompanied by their family and the Dowager Duchess, journeyed to Iona on Saturday October 20 to help Iona Cathedral Trust celebrate the opening of a new Heritage Collection in the abbey library. 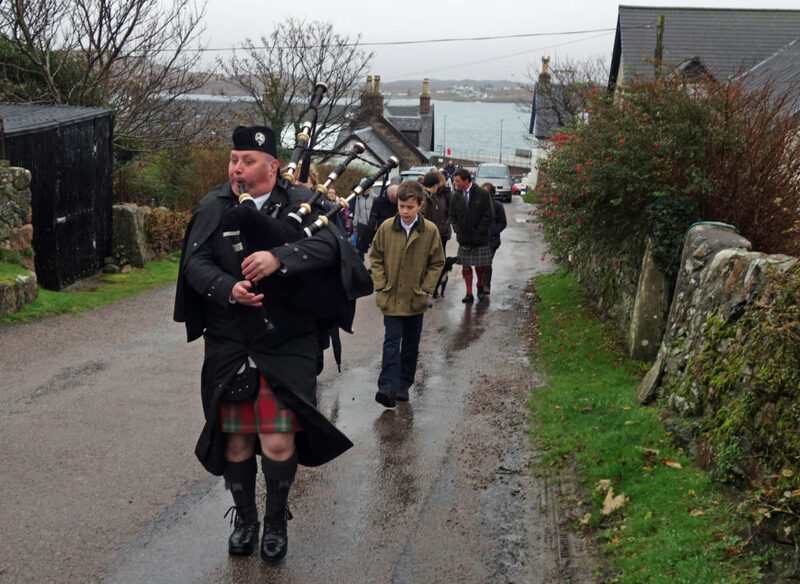 The Argyll family arrived to a welcoming committee and were piped ashore by Calum MacDougall, who then led the procession up through An Baile Mor to the St Columba Hotel, where the guests stopped for refreshment. 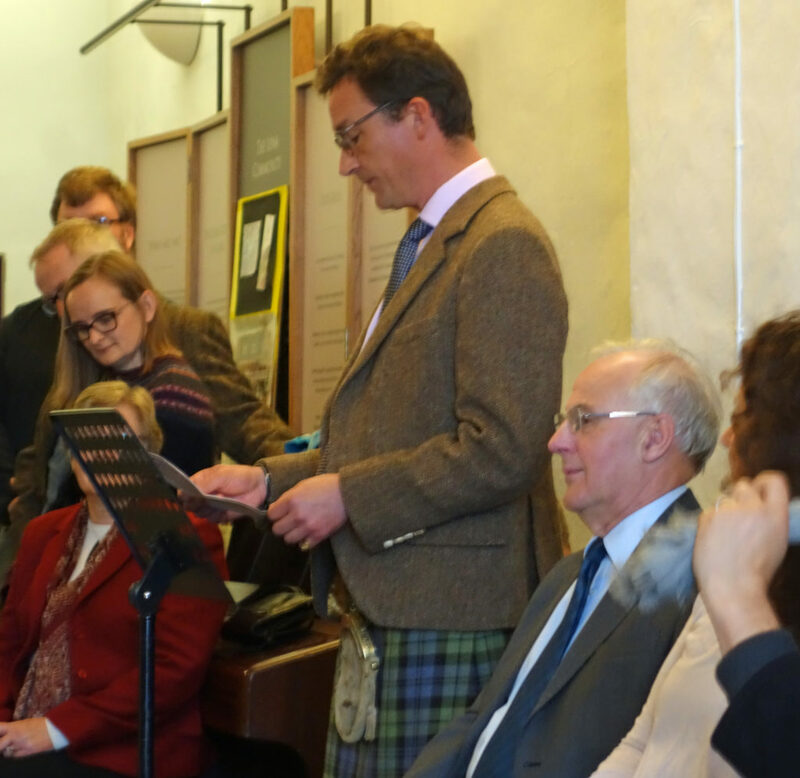 Later in the afternoon, invited guests were addressed by the Duke of Argyll and the Very Rev Dr Finlay Macdonald, chairman of the Iona Cathedral Trust, with references made to the duke’s family connections with the island and the long history of the library from St Columba’s monastery to the present day. 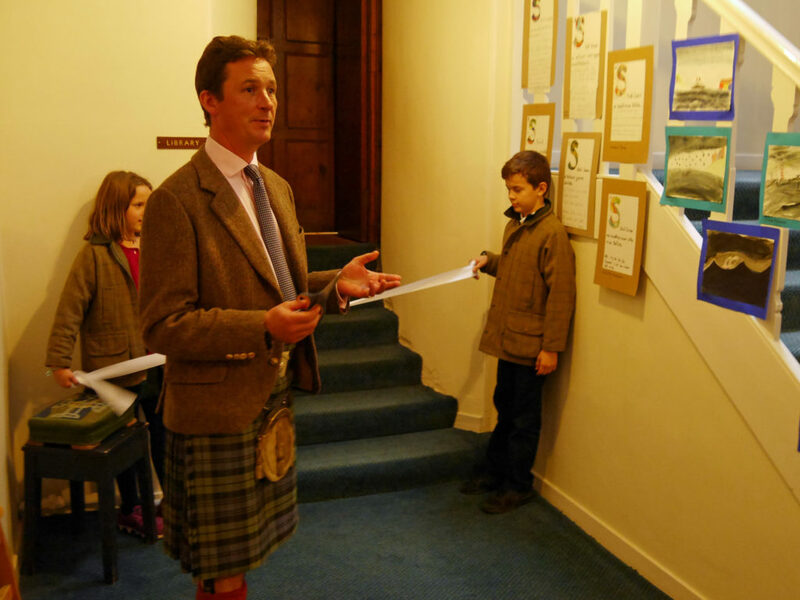 The duke’s children helped with a simple ribbon-cutting ceremony declaring the Iona Abbey Heritage Collection open. 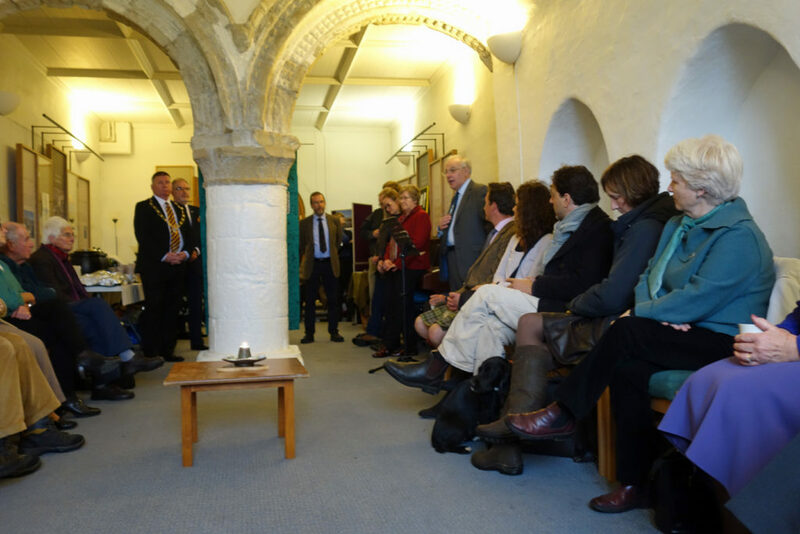 Guests were then treated to mini tours of the newly refurbished library and then it was back to the Chapter House for refreshments supplied by the St Columba and Argyll hotels. The cathedral trust also welcomed a number of relatives who were linked with Mary and George Ritchie of Iona, parents of Alex and Robert Ritchie, who donated so much to rebuild and develop the abbey library back in the early to mid 1940s. 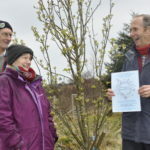 The event was also supported by the Councillor Roddy McCuish and Councillor Mary-Jean Devon with representatives from other project partners -the Iona Community, the National Trust and Iona Community Council. Residents took the opportunity to visit the new island resource, which will be available for the community to use alongside interested scholars and incoming visitors. The library will stay a specialist library, with the old books being looked after by a librarian, who will be responsible for supporting access to the new collection. 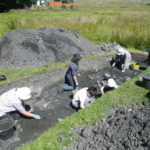 Special thanks were given to Argyll and Bute Council Education Department and all the participating schools on Mull and Iona, who enjoyed a number of project workshop activities during the two years of the Iona Abbey Library Project. 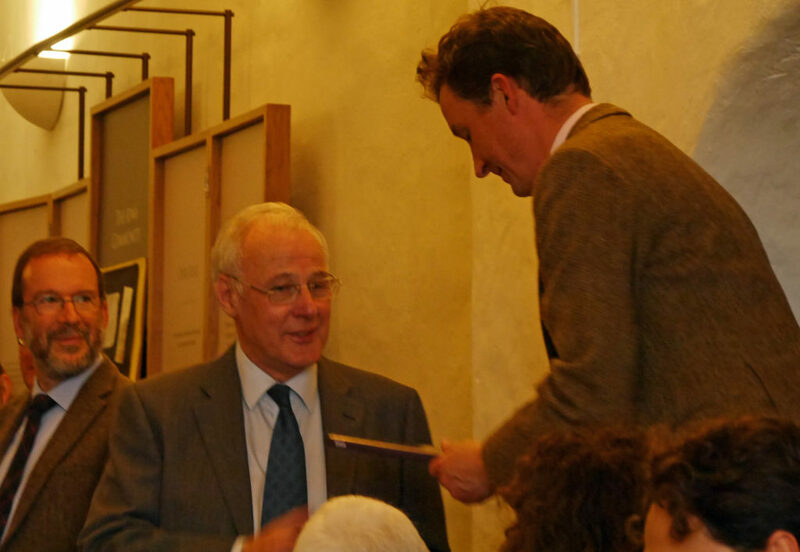 Community groups in Oban, Mull and Iona had also benefited from Creative Arts and Book Conservation programmes. 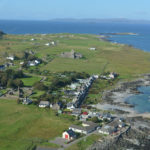 The Heritage Lottery-funded project has enabled a unique library collection to be saved for future generations, with a significant number of its Gaelic books contributing to the Scottish archive and local heritage. Email ionaabbeylibrary@gmail.com for more information.